In a video published on October 4, Roger Ver, CEO of Bitcoin.com and recognized promoter of Bitcoin Cash held a debate with Litecoin’s Charlie Lee about the possibility that Lightning Network can provide the solutions that the Bitcoin Blockchain requires to be a globally accepted crypto with the benefits of traditional fiat transactions. Lightning Network is a “second layer” payment protocol that is being developed to guarantee almost instantaneous transactions with minimal fees, converting Bitcoin (BTC) into a cryptocurrency that allows for minimum value transfer operations in real time. 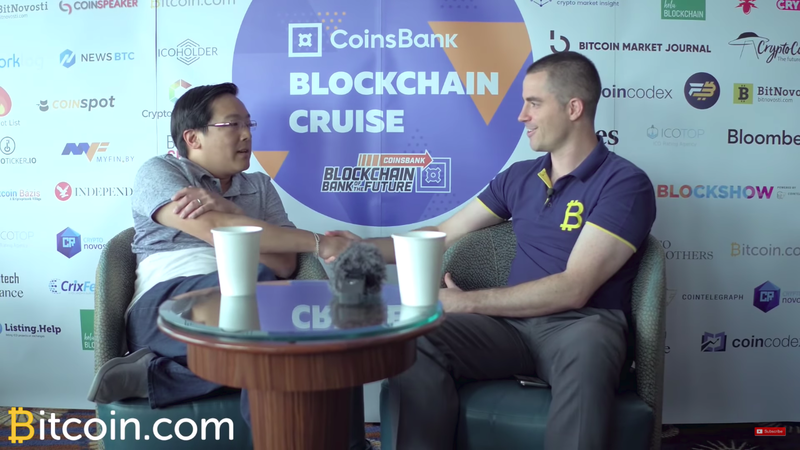 In an extract of the full debate published on Youtube by the official channel of Bitcoin.com Roger and Charlie talk in the Coinsbank Blockchain Cruise. During the interview, Charlie Lee was quite supportive about Bitcoin and the development of Lightning Network. They say buying Bitcoin on-chain is stupid … People are working on LN which is helps Bitcoin scale to second layer solutions, so it is still Bitcoin … they are not hostile to using Bitcoin. Roger: – Is it a peer to peer system when you are using a Lightning Network? Charlie: No, because you are connecting in a network. Transactions are jumping from peer to peer. Bitcoin transactions are not peer to peer right now. Bitcoin transactions are a broadcast-type of transaction where you broadcast your transaction to everyone in the world, and then the miners collect that and put it in a block … The payment for Bitcoin right now is from sender to recipient, it’s not peer to peer per se … It’s just a direct payment. Peer to peer network means that you are a peer who connects to another peer that connects to another peer … It’s just definitions. -Roger: (Interrupting Charlie) So they successfully censored somebody from participating? Charlie Lee accepted the bet. Roger Ver culminated this section of the debate by saying “In all honesty” that he hoped he was wrong because, in the end, LN’s success could represent one more step in the direction of the world he is promoting.